Exempt organizations are responsible for maintaining their tax exempt status by filing non profit tax returns each year by its respective 990 tax form filing deadline. Does your organization operate on a fiscal tax year that starts on June 1 and end on May 31? If so, you must file a Form 990 by Monday, October 15 to stay tax exempt. 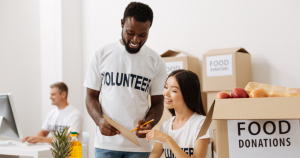 Since there is more than one 990 tax form in the Form 990 Series, we wanted to make sure you were informed of the non profit tax returns you need to know about. Form 990-N (e-Postcard) – For organizations reporting gross receipts less than $50,000. Form 990-EZ (Short Form) – For organizations reporting gross receipts less than $200,000 and total assets less than $500,000. Form 990 (Long Form) – For organizations reporting gross receipts equal to or greater than $200,000 and total assets equal to or greater than $500,000. 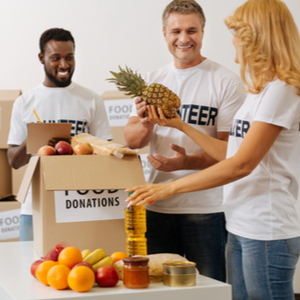 Form 990-PF – For organizations identifying as an exempt private foundation, taxable private foundation, or a nonexempt charitable trust treated as a private foundation. Whether you select option one or two, TaxBandits has you covered! Log in to your account today to get started or create a new account if this is your first time using TaxBandits. We help you take your time back so you can continue making a difference in your community.